It's much easier to keep an eye on what's cooking with a well lit cooker/microwave! The purpose of the lamp in your oven is to allow you place items in the correct position, to check on how the food is cooking and to see when it's time to remove the food. 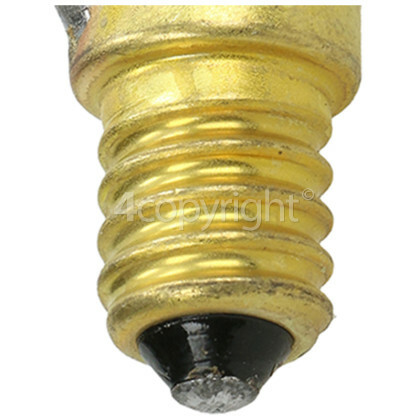 This high quality bulb can withstand temperatures of up to 300°C, making it safe to use in domestic ovens and microwaves. 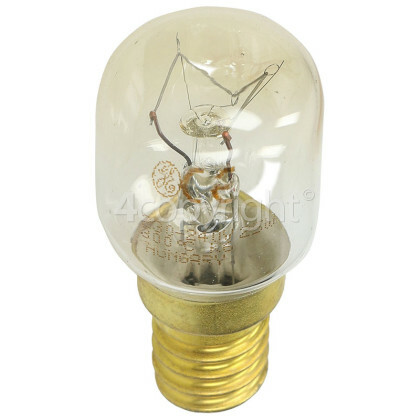 Replace any bulbs that might have blown with this great replacement 25W SES (E14) Pygmy Lamp.